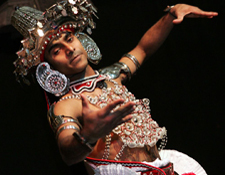 The list below is just some of the sights that you can visit on your Sri Lankan holiday. Your driver will gladly customize your tour, just contact us to get started planning! Anuradhapura is one of the earliest urban sites in Sri Lanka, dating back to the 5th century BC. It has been the first capital of the Singhalese kingdoms and a major religious center for nearly 1500 years. 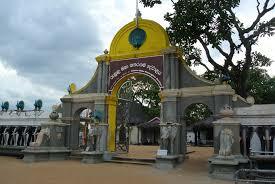 During this time Anuradhapura was the royal seat of more than 250 Buddhist and Hindu kings. In its present form it consists of a citadel surrounded by several large Buddhist monastic complexes and four men made lakes. The three colossal stupas of the Mahaviharaya, Jetavana and Abhayagiri monasteries are of the same order of magnitude as the pyramids of Egypt. Hidden away in dense jungle for many years, the splendid site, with its palaces, monasteries and monuments, was rediscovered by the British during their colonial time and are now accessible once again. 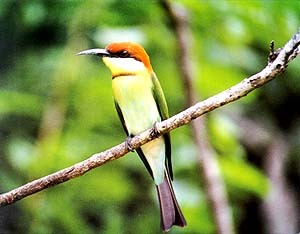 They also belong to the UNESCO World Heritage Sites. At the crossroads of Sri Maha Bodi Mawatha, Mihindu Road and Kurunegala Road the Sri Maha Bodhi (Sacred Bo-Tree) is situated. It is said to have arose from a layer of the holy Bo-tree from North India under which Siddhartha Gautama (Lord Buddha) was enlightened and which was brought to Sri Lanka as a gift from the Buddhist Indian Emperor Ashok in the 3rd century BC. Therefore it has a claim to be the oldest tree in the world. 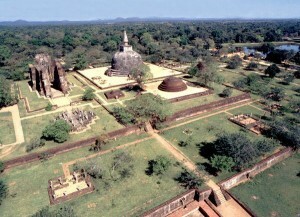 Polonnaruwa was the capital of Sri Lanka from the 11th to the 13th century. The ancient remains consist of a walled inner and outer city, surrounded by monasteries and temples, with palaces, gardens and man made lake, the "Sri of Parakrama". The Gal Vihara is a Buddhist rock-cut temple containing four great masterpieces of world sculpture. 13 km east of Anuradhapura, the "Missaka Pabbata" is situated, which is 305 m in height and is one of the peaks of a mountainous range. 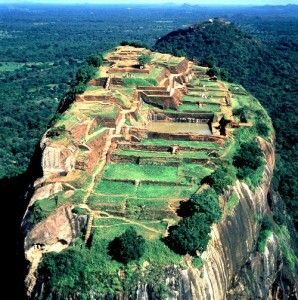 Nowadays it’s known as Mihintale, the cradle of Buddha in Sri Lanka. It is the place to which Thera Mahinda came from India on the Full moon Day of the month, to meet King Devanampiyatissa and the people and to preach the doctrine of Lord Buddha. From ancient times a large number of steps were constructed to climb Mihintale. At Mihintale a number of Buddhist viharas were built, they consist of all the dependent buildings & characteristic of monasteries of that period. 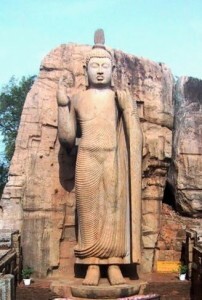 In Aukana the tallest Buddha statue of Sri Lanka is situated, it is also said to be one of the most important of the Asian continent. It is carved out of the granite stone. It was built during the period of king Dhatusena (459-477 AD). The statue has been very well preserved over the years and it is a unique creation to visit and appreciate. Habarana is a friendly village within the Cultural Triangle and located centrally to depart for visiting the capitals of the early kingdoms of Anuradhapura and Polonnaruwa. Sigiriya, the "Lion Rock", is one of Asia's most important archaeological sites, dating from prehistoric times to the 18th century. It is a 5th century city complex, with ramparts, moats, gateways, a palace on top of a 200 meter rock, ancient royal gardens, well-known paintings of the Sigiriya Damsels, the only secular art to have survived from the early Sinhalese kingdoms, "Lion Stair case" and graffiti containing poetry written by visitors to the site in early times. The ancient water gardens and boulder gardens are the oldest surviving historic gardens in Asia. The painting on the rock-face the classic realist style characteristic of the school of Sigiriya. 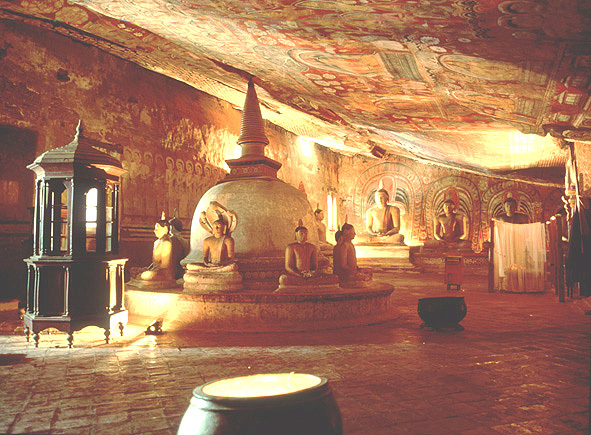 The ancient monastery at Dambulla is best known for its rock temples and well-preserved 18th century paintings. It is one of the largest cave temple complexes in south Asia with about 2000 square meters of rock and wall paintings. The monastery was established in the 3rd century BC and has remained until today one of Sri Lanka's major religious and historical sites, with a history of more than 2000 years. 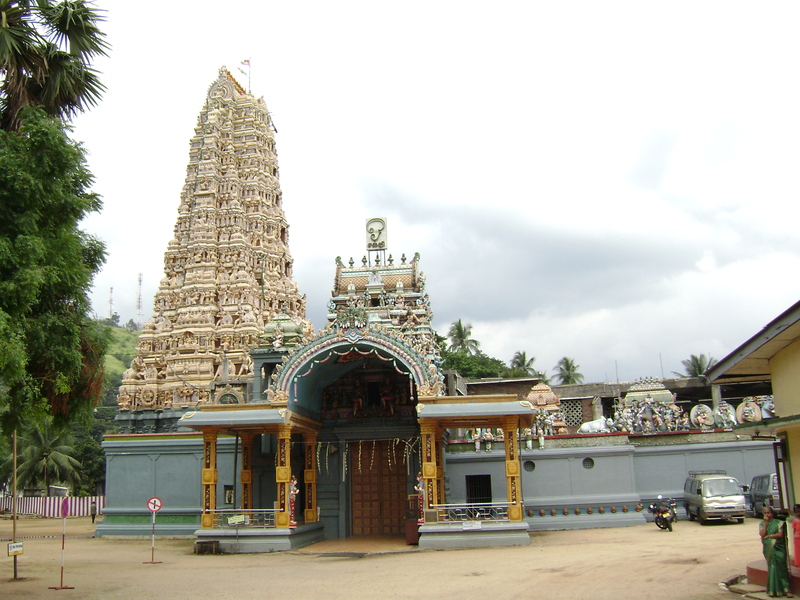 Matale is a city known for the Alu Vihara temple where the “Tripitaka” was translated in 1938. In the evening the Hindu temple in the heart of the city is illuminated with colourful lightning’s. The main street (2 km) is the longest along a city centre. The rich cultivation of the famous Sri Lankan spices around Matale makes our dishes aromatic with the proper flavour. The limestone formation provides the burn lime for colouring the houses and the crystal clear water for the consumption. The picturesque city of Kandy, the “Garden City”, is situated in Sri Lanka’s scenic hill. 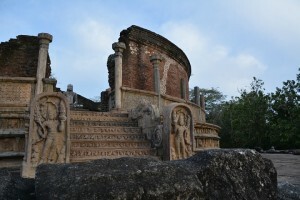 It was the last Sinhalese kingdom, and the Temple of the Tooth – one of the most significant Buddhist shrines in Sri Lanka – can be visited here. The Royal Botanical Gardens in Peradeniya, nearby Kandy has a rich collection of flora. The colonial rulers called it Kandy for “Kanda” in Sinhala, meaning a hill. The capital of the Kandyan Kingdom in the 16th century and the seat of much of Sri Lankan’s culture, this royal city fell into the hands of the British in the 16th century. 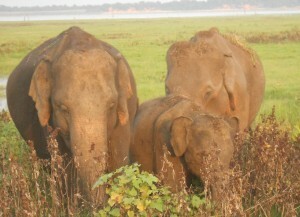 In Pinnawela, on the way to Kandy, from Colombo , the elephant orphanage is situated. 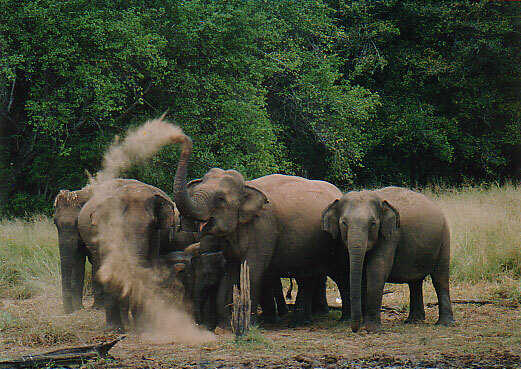 The Pinnawela elephant orphanage was originally founded to save young elephants that were orphaned or abandoned. When it started in 1975 there were 5 baby-elephants. Nowadays, it is a home for over 65 elephants, including babies. 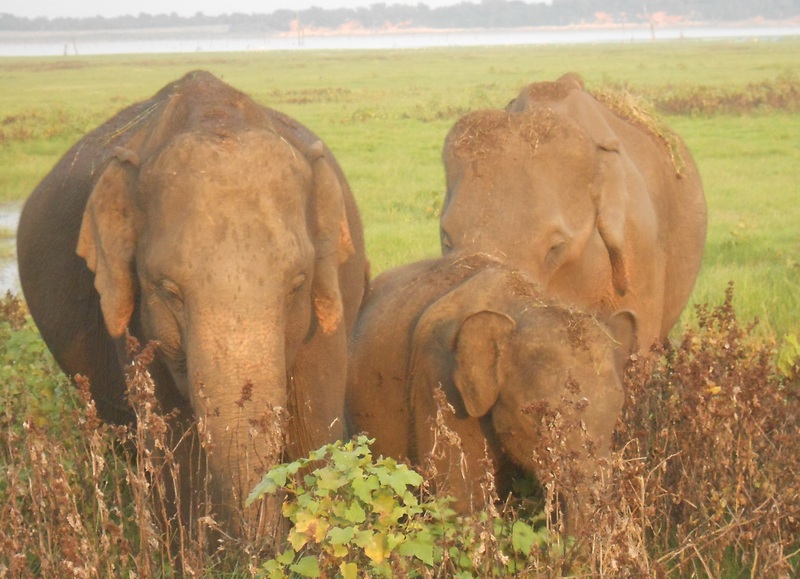 During a visit, you can observe the elephants bathing in the Maha Oya river and working at the orphanage. Feeding is thrice a day, where you can see how the baby-elephants are fed with milk in a bottle. It is the village where the settlers from the descendents of Kuveni and Wijaya (the veddhas) went into to hide after the tragic death of the parents. They still protect their traditional rituals and values and maintain the limited community with their equal rights, symbolized by the bow and arrow for their protection as well as hunting animals. They are teetotallers and do not wish to be westernized and affected by the globalizations. Nuwara Eliya, well known as “Little England”, is situated in the magnificent central highland of Sri Lanka, where cascading waterfalls and mountains covered with tea plantations are abundant. The pleasant cool climate was very much appreciated by the British colonists, who resided in Nuwara Eliya in the past, and heritage can still be experienced. This beautifully maintained town gives access to places of interest such as Horton Plains, Nature Reserves and Adam’s Peak. The drive up to Nuwara Eliya is considered one of the most scenic routes in Sri Lanka, especially by train coming from Kandy. Situated within the marvelous hill country of Sri Lanka the beautiful landscape of Ella and Bandarawela are definitely to be admired and enjoyed. At Ella Gap one has a wide view over the countryside. 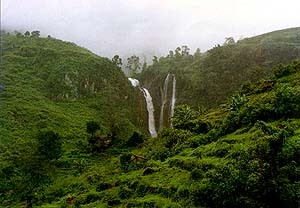 Around Ella hundreds of fantastic and breathtaking waterfalls could be visited. Bandarawela is a small town up in the hill country surrounded by tea plantations and a fabulous mountain scenery. Due to the height of approximately 1500 m many TV stations are located in Bandarawela. Badulla is the capital of the province of Uva, it is the seat of a government agent and district judge, besides minor courts. In Kandyan times it was the home of a Sri Lankan prince who ruled Uva as a principality. 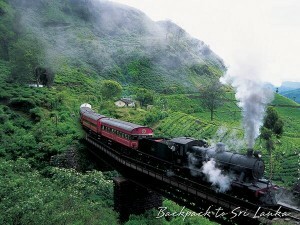 Badulla counts 680 m above sea-level, it is a marvellous town surrounded by mountains. In Kitulgala the well-known motion picture “The Bridge on the river Kwai” was shot in 1956. Due to political reasons it was not possible to shoot the film at it’s original scene, so Kitulgala was chosen. 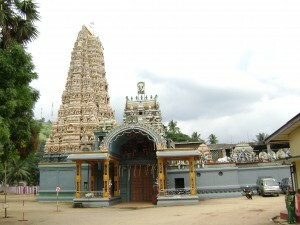 Kitulgala is a pleasant small town, situated on a particularly delightful stretch of the Kelani river. For there are rock-strewn sections and rapids, often enclosed by high banks of tall bamboo. 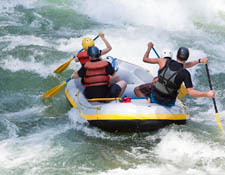 The second largest river of Sri Lanka, flows by Kitulgala and is famous for white-water rafting.